The New York Giants have a lot of cause for optimism ahead of the 2018/19 NFL season. They still have wide receiver Odell Beckham, Jr. under contract, they have picked up dangerous running back Saquon Barkley in the draft, and they have a quarterback under center that has won two Super Bowls already. It’s been rough for the past few years, but there is reason to feel good ahead of the season. 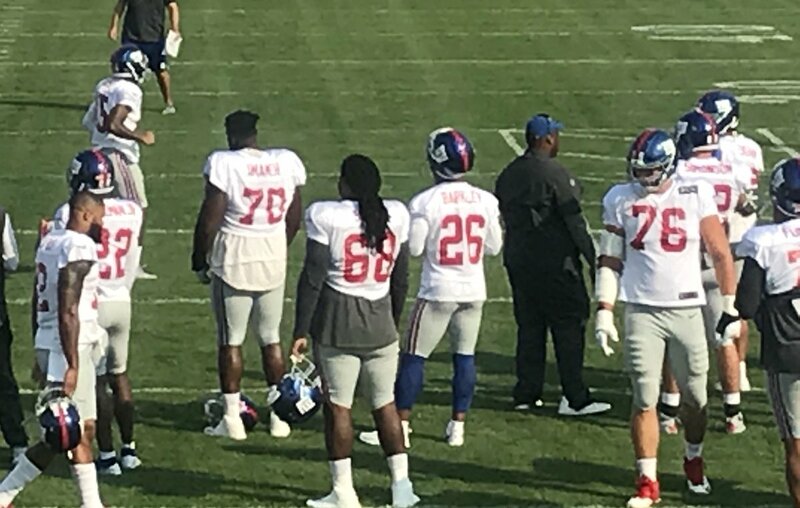 But all of that nearly grind to a half when Barkley went down at practice on Monday after making a catch on a long throw, according to the Giants’ official Twitter handle. The worst was feared early on, but since then it has been confirmed that the Penn State alum has a mild strain of his hamstring, and that the team will be looking after him closely during his recovery. That means that he did not practice on Tuesday, a no-brainer of a call. It also means that he will be very unlikely to get any time in Friday’s second preseason game of the season, against the Detroit Lions. In case you missed it, his first taste of NFL action went extremely well, with his showcasing his speed and power. There’s not much reason to play him against the Lions, especially now that he has a bit of a problem. He will still have time to possibly get on the field in ten days’ time when they face the Jets in their penultimate preseason game. Either way, fans won’t be too worried. As long as their new star man is on the field when the regular season begins, they will be very happy. Barkley gives, or will give, the Giants a new dimension to their offense. He will be absolutely vital to getting them back on track after just three wins last season and only one winning season in the last five.